Hammock chairs can be suspended between trees, walls and ceilings. Find a large selection of clever suspension solutions here. 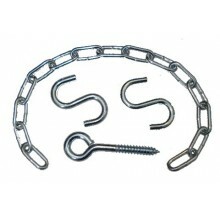 Basic Hammock Chair Suspension Kit (for beam and stand) Features Galvinized Chain 2 - 3" S-hook.. 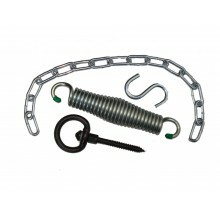 Premium Hammock Chair Suspension Kit with Spring and Swivel Features: 16" Galvinized Chains 3" ..